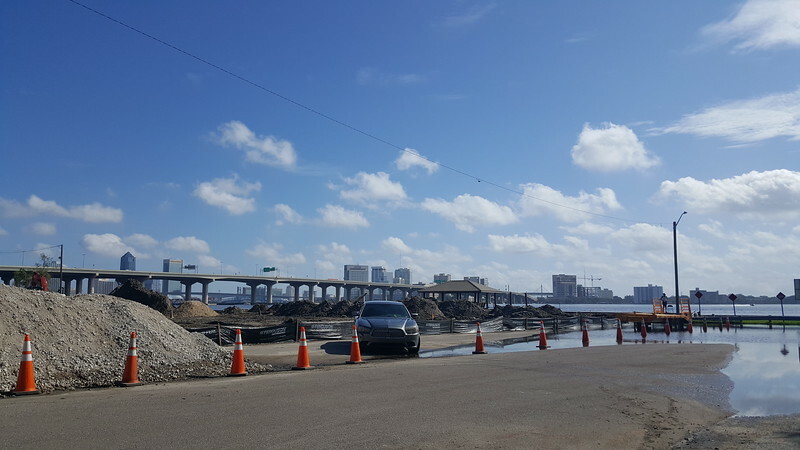 Momentum in the densification of Jacksonville's urban core picks up steam as more projects continue to break ground. Quietly, construction is now underway on two multifamily infill developments, adding a combined 233 apartment units in the inner city. In Riverside’s Five Points area, work is now underway on the long awaited 125-unit Bishopgate Apartments development. 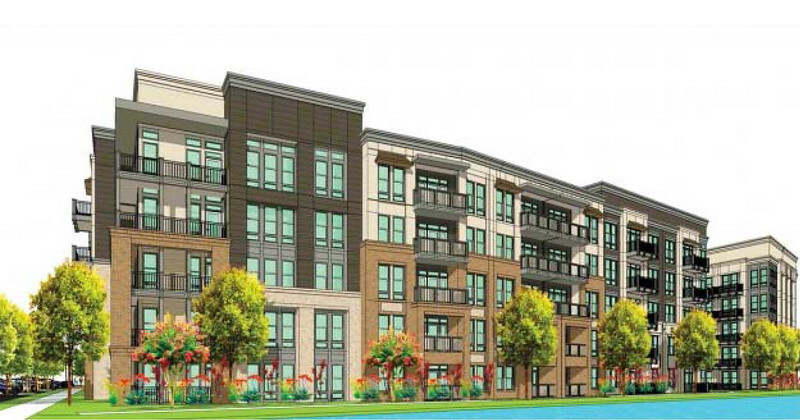 Located at 500 and 550 Bishop Gate Lane and being developed by TriBridge Residential of Atlanta, Bishopgate will be comprised of two five-story apartment buildings featuring 84 one-bedroom and 41 two-bedroom units. In downtown’s LaVilla, sitework is underway on The Vestcor Companies and TVC Development’s Lofts at Monroe project. 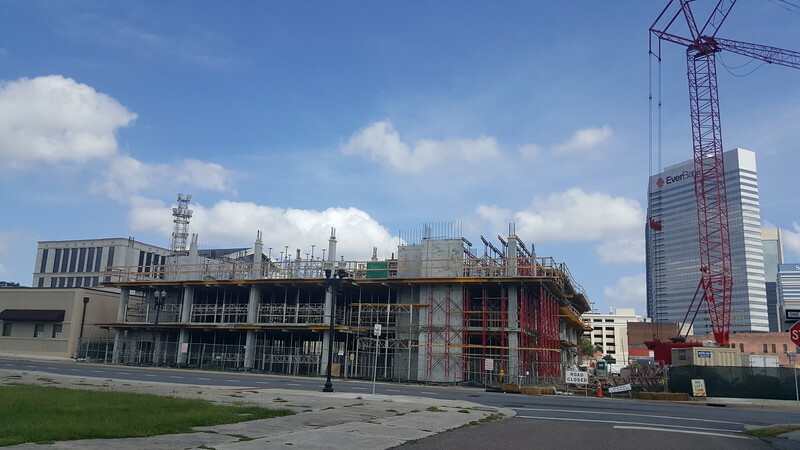 Featuring 108 units and four residential floors over a floor of parking, Lofts at Monroe is being constructed on the long demolished site of the Flagler Hotel. Designed to embrace the intersection of West Monroe and Davis Streets, the $12.4 million project also includes space for retail along Monroe Street and is expected to be completed by December 2018. 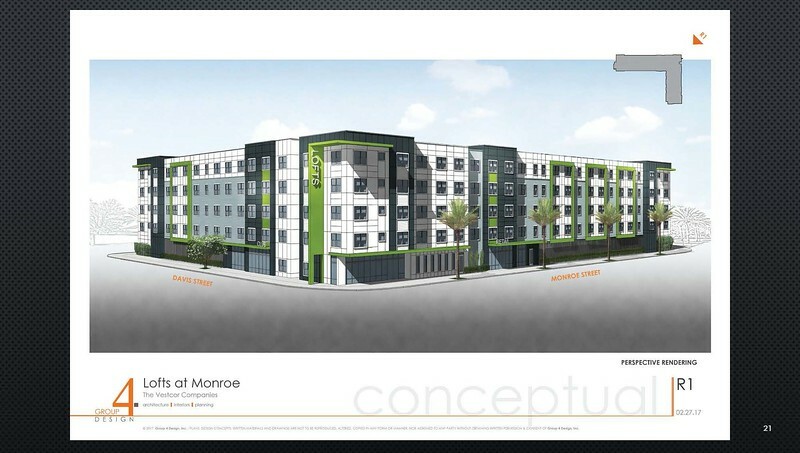 Lofts at Monroe now joins Lofts at LaVilla and Houston Street Manor as major infill multifamily projects under construction in LaVilla. 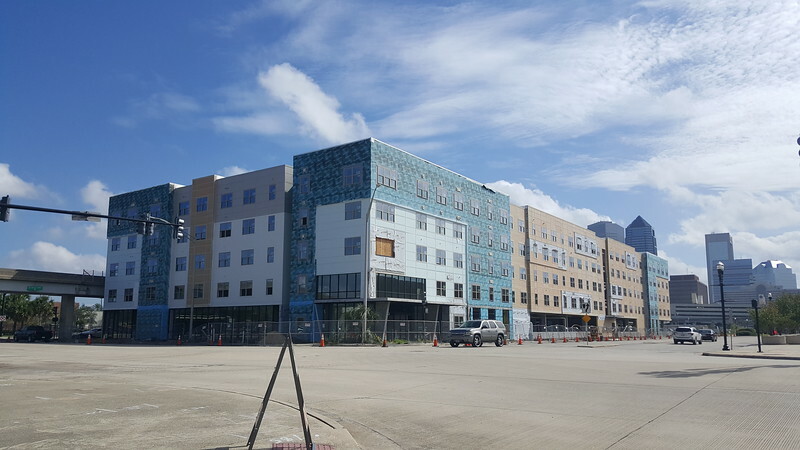 Situated adjacent to the Skyway at Bay and Lee Streets, The Vestcor Companies’ $22 million Lofts at LaVilla will contain 120 affordable housing units upon completion. A few blocks east of Lofts at Monroe, vertical construction continues on Houston Street Manor at the intersection of Jefferson and Houston Streets. A 72-unit senior housing project being built by Sarasota-based Beneficial Communities, Houston Street Manor will be a 7-story structure, with 2 stories serving as a parking garage. 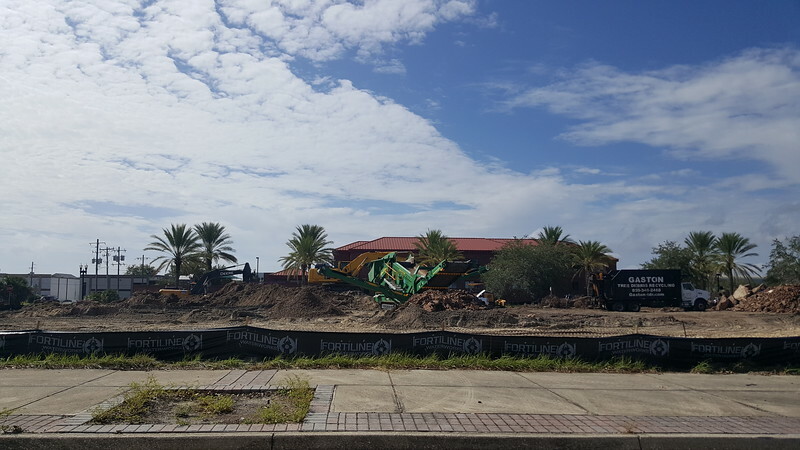 While the Riverside project is a market-rate development, the three projects in LaVilla are all partially funded with low-income tax credits for affordable housing.